Faith is the reason we join each other in this unique community and it is an integral part of our school life. Each day we begin and end with prayer, and students and faculty pray before and after every lunch. Religion is the first class of the day for our K – 8 students. As a regional school, Sacrament preparation happens at your home parish, keeping you in touch with your Sunday traditions and services. Students attend weekly Mass and participate as readers, choir members, and servers. With the modeling of Christian values, we have few behavioral issues. Our students are happy and balanced as they are able to celebrate many special holidays including Advent, Christmas, Lent, Easter and May Crowning. We have a pet blessing on St. Francis’s Feast Day, and children receive candy in their shoes as we celebrate St. Nicholas. We enjoy Halloween, Christmas and St. Valentine’s Day classroom parties. Our Christmas concert and Nativity Pageant are highlights of the Advent season. Our sponsoring priests come and speak to classes, participate in activities and help our students understand how to apply the teachings of Jesus Christ to their lives. With 86% of our families being Catholic, we are very welcoming to other Christian faiths in our school. Our 8th graders participate in a Pilgrimage each spring and the middle school students participate in a NET Ministries retreat each fall. Modeling the Beatitudes and Works of Mercy is important to us and therefore service is part of our school environment. 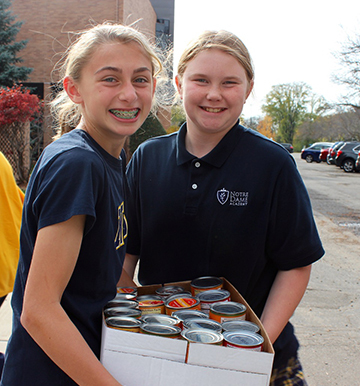 Our families support a yearly food drive for the local ICA food shelf. 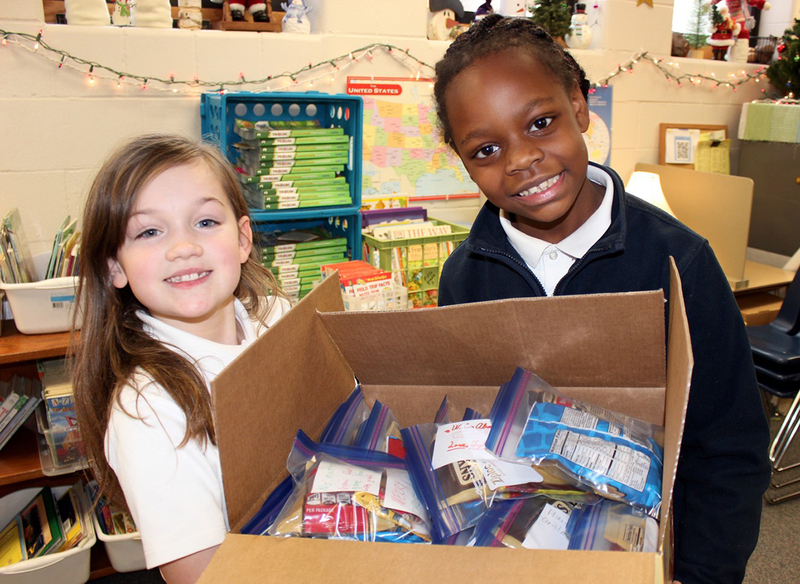 During Advent and Lent, we have made sandwiches for the homeless, packed at Feed my Starving Children, donated to animal shelters, and brought items in for Mary’s Place and a home for abused women and youth. Modeling the Beatitudes and Works of Mercy is important to us and therefore service is part of our school environment.